a deep Dutch Oven type pot with a lid. 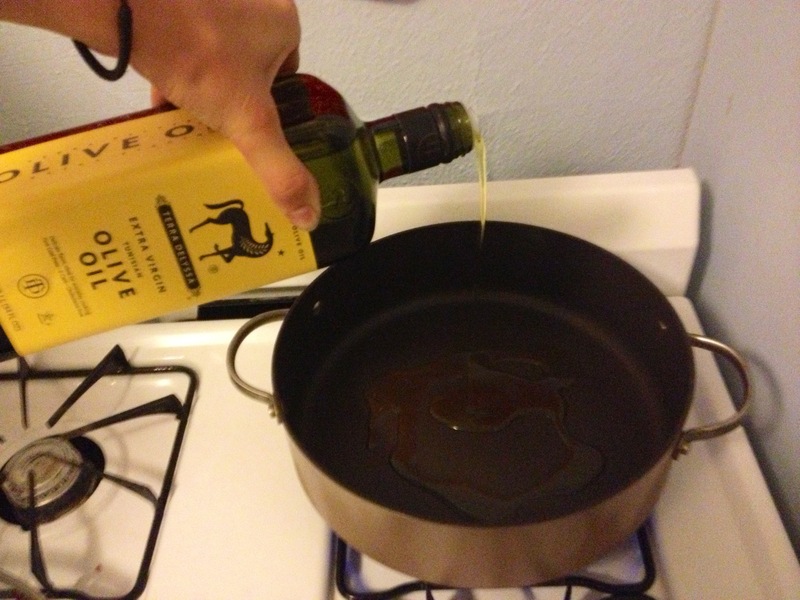 Start by pouring the olive oil in a thin layer to cover the bottom of the pan. Turn the burner to high heat. 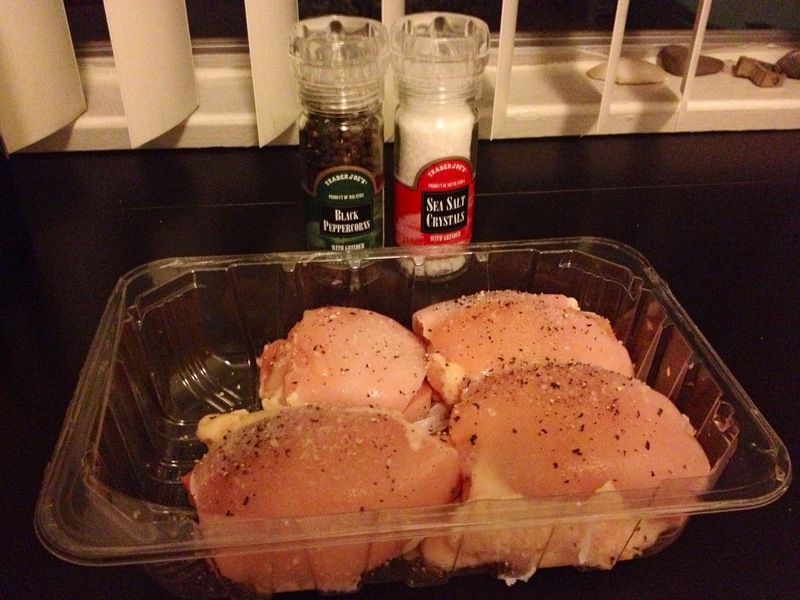 Next season your chicken thighs with salt and pepper. 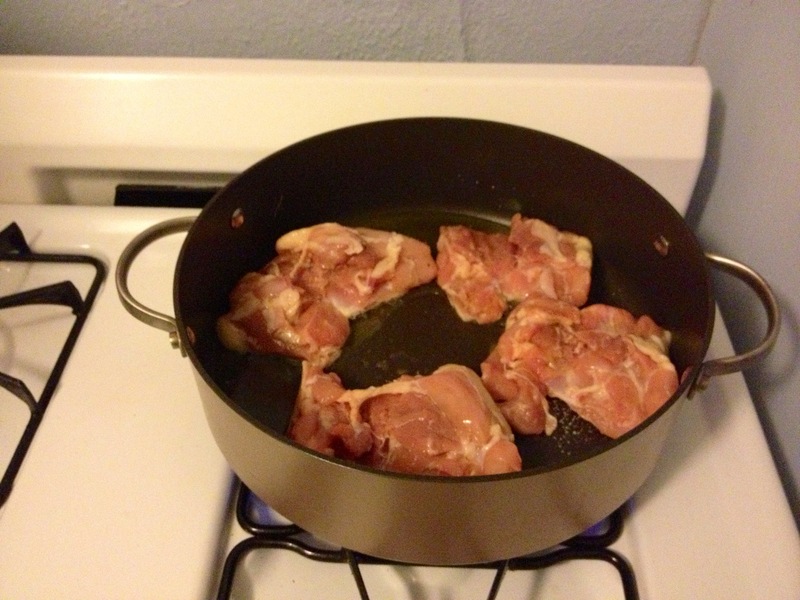 Place your seasoned chicken thighs in the pan and place the lid on it. 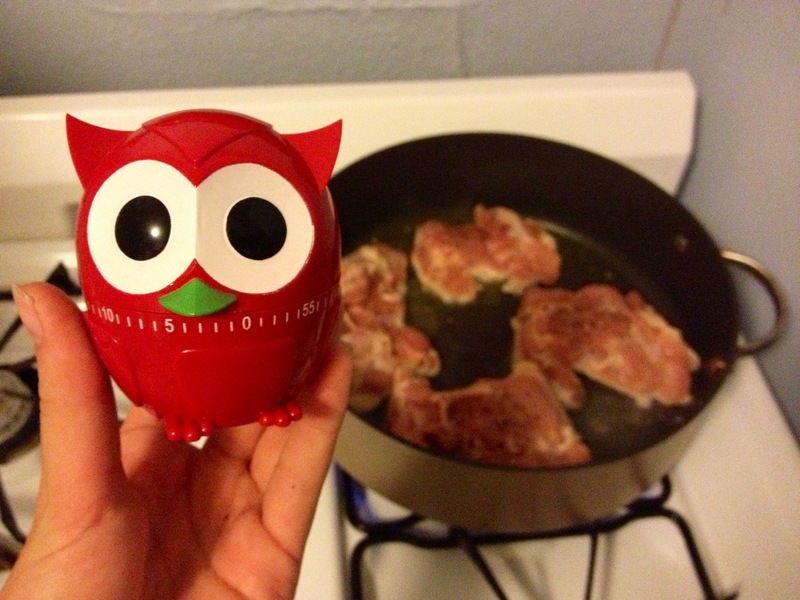 I then set my little owl timer to three minutes. The goal is for the thighs to be golden brown on both sides. 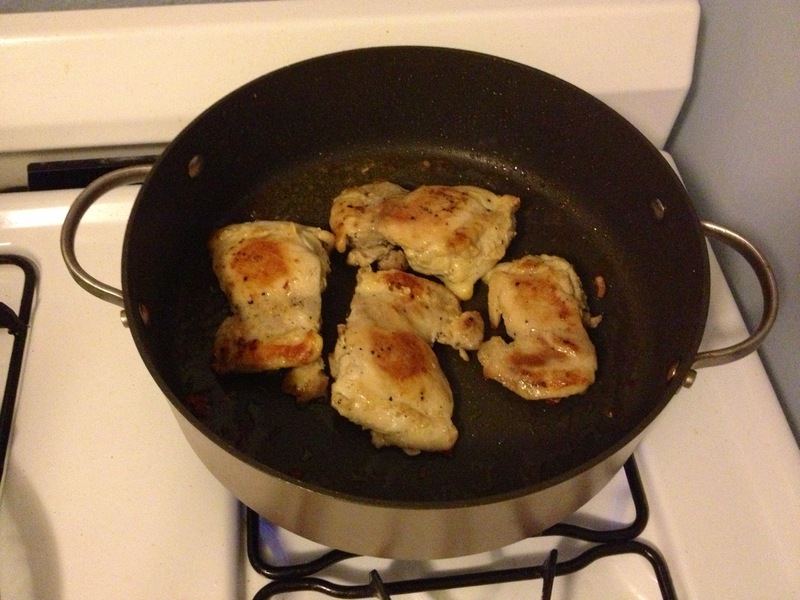 To avoid burning I make sure I flip and check my chicken at least every three minutes. 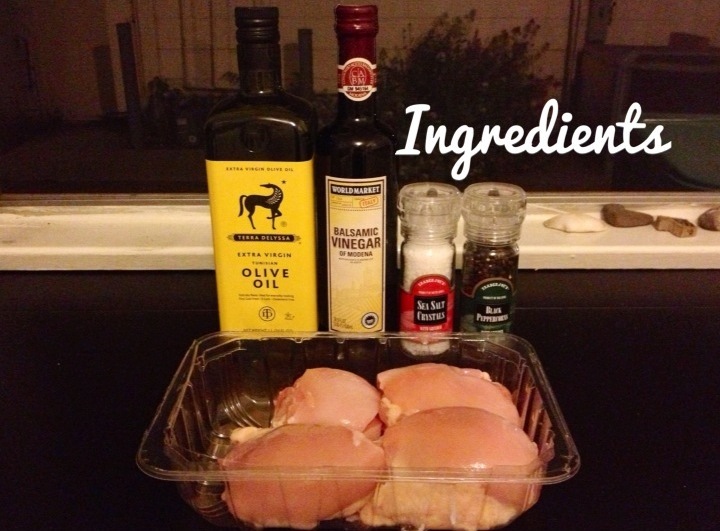 Looking back I should have browned my chicken up for a bit longer, but oh well! 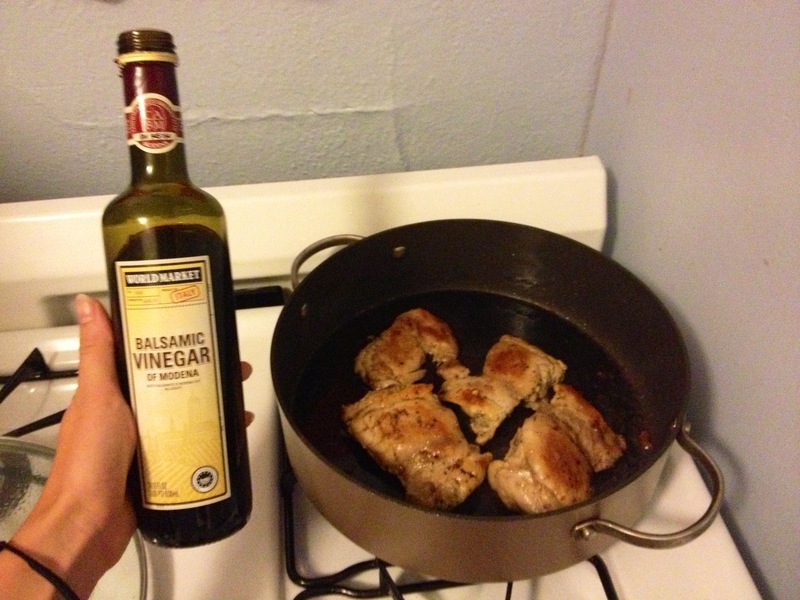 Next I added the Balsamic Vinegar. 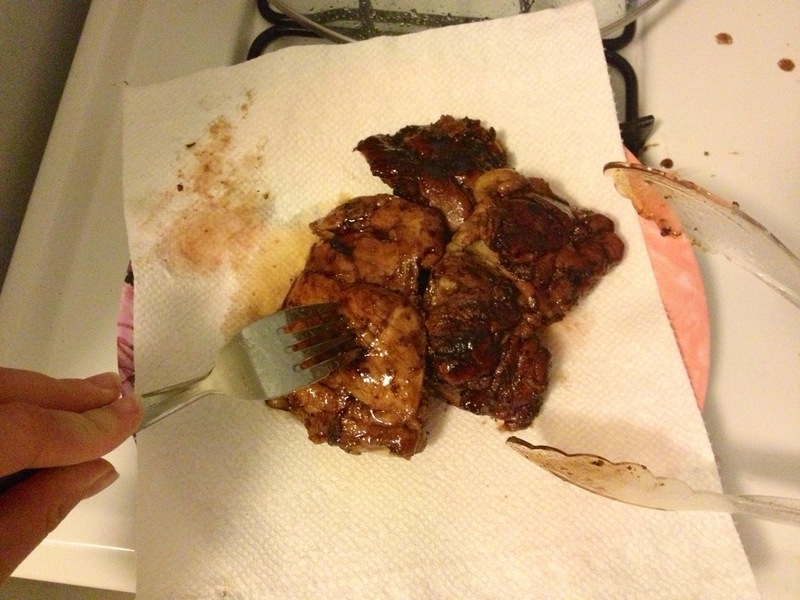 I poured enough into the pan so there was about a quarter inch of Balsamic Vinegar in the pan. My stove isn’t level can you tell haha. 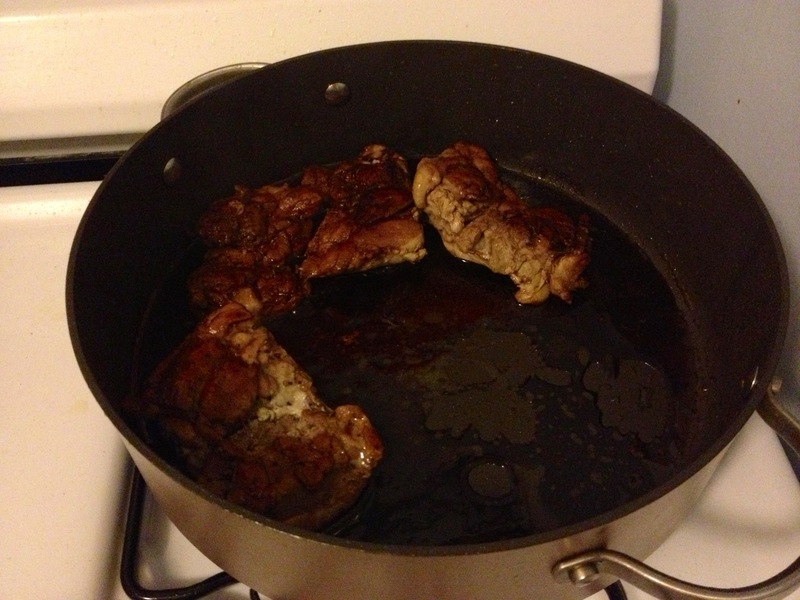 I then brought the heat down to a low simmer and placed the lid on the pan. Leave for 20 minutes. 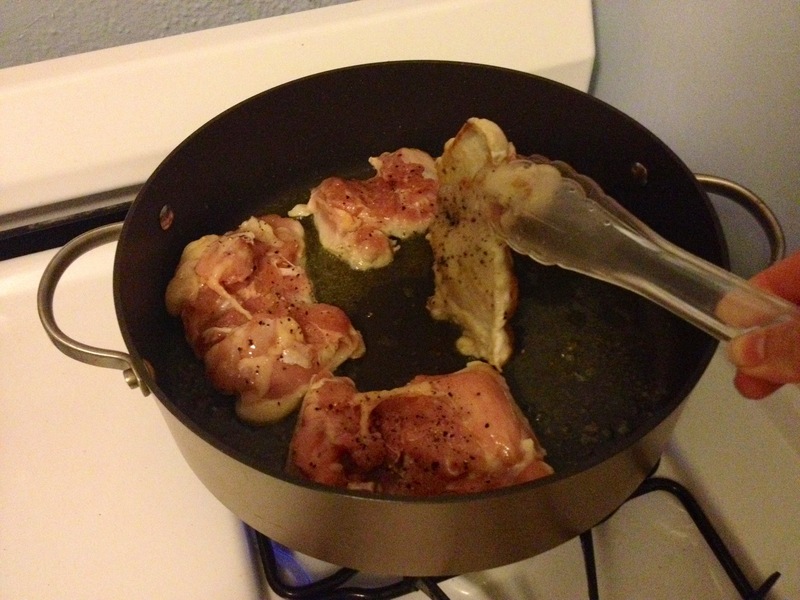 Flip the chicken half way through. 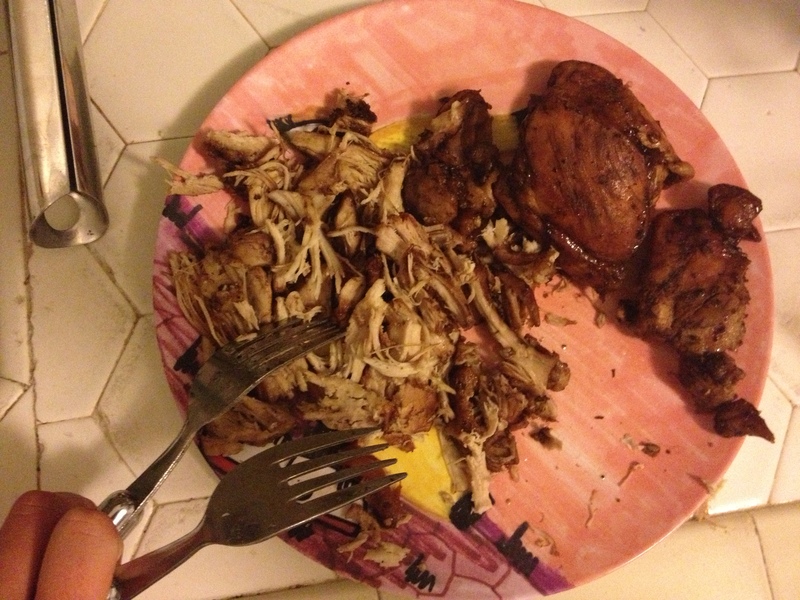 Looking back I also wished I didn’t place the chicken on the paper towel that way more juice would be soaked up. Shred the rest of the chicken! 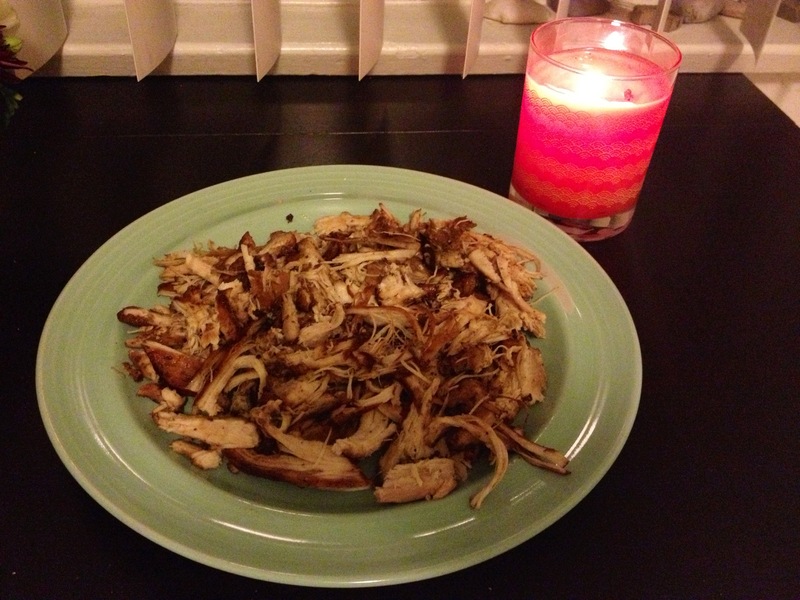 Once all of your chicken is shredded leave it to come down to room temperature, then place it in your desired container and voila! Now you have delicious shredded chicken that can be added to salads, sandwiches, burritos, taco, and basically anything else!